While traveling to Colombia to bring Jonah home, we learned of an orphanage in Bogota that had some immediate needs. Jay and I traveled to Amparo de Ninas to see if there was anything we could do to assist in helping the children living in this orphanage. As we drove up, we were immediately swarmed by the beautiful faces of about 35 young girls. I remember how overwhelmed I instantly felt. They were so interested in little Jonah and several of the girls wanted to hold him. As an adoptive mother of a new baby who was immune suppressed, I have to say I was a little leery of letting him go to anyone. One particular girl seemed so inquisitive and was eagerly trying to communicate in spite of my poor, broken Spanish. She and some of the other girls gave us a tour of the orphanage. They showed us where they slept and where they attended school. The psychologist of the orphanage explained their need for mattresses and other simple necessities. Through our conversation, he mentioned his desire to see the girls placed in families so that they would know the love of a family. We discussed how helpful it was to meet the physical needs of the children, but how there is nothing that can replace the love of a family. I asked him if he could help us to know what children were adoptable so that we could advocate for families for them. He mentioned the need for a family for two sisters who had lived at Amparo for several years. To my surprise, the younger sister was the talkative girl who was full of questions when we arrived. He told me about her older sister and how sweet of a disposition she had. He was very concerned for her because she was already 16 years old and would be aging out of the orphanage soon. 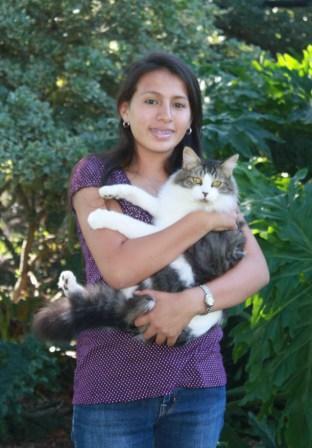 He was concerned that she would not survive on the streets of Bogota and that it would be hard on both of the children for them to be separated. After spending several hou rs at the orphanage, we returned to our hotel room and immediately began to write letters to try to raise the funds to provide for the much needed necessities of the orphanage. I also sent a few e-mails out to see if I was able to find a family for some of the girls who lived there. A family we knew, who had other adopted children, contacted us and expressed their desire to adopt siblings from Colombia. We immediately told them about the sisters from Amparo. We put them in contact with Children’s Home Society and Family Services and they began the process to adopt them. As time passed, the family became concerned that perhaps they were not prepared to parent two older girls, and they asked the agency to seek children who were a little younger for them. We continued to seek a family for them and for the other girls. 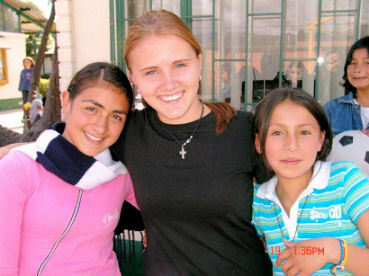 Here I Am Orphan Ministries became deeply involved in helping the children living in Amparo and we coord inated a couple of mission trips to provide for their physical needs and also conducted a Vacation Bible School program with the girls. The more time we spent at Amparo, the better we got to know the two sisters. In June of 2006, I had the opportunity to return to Amparo and I was able to take our oldest daughter, Elizabeth, with me. We spent quite a bit of time with the older of the two sisters. She was much quieter and more reserved than the younger sister. 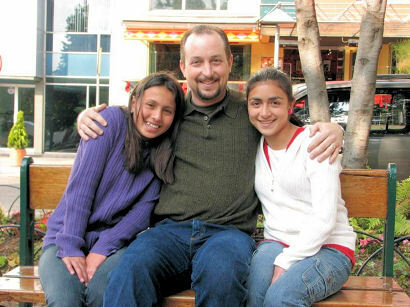 I returned home and began to pray that God would show us His will in what our part was to be in helping these two girls. Our home was on the market at the time and we really wanted to move to the ranch. It was definitely not a good time to start an adoption. So, we talked and prayed for several months. Naomi’s time was running out. Most of the girls her age had already had to leave the orphanage. We decided to proceed to adopt Naomi and Hannah. It was a scary decision for us because our house had not sold we were really stretched financially trying to maintain our house and the ranch. On the other hand, if the house did sell, where were we going to put two more children while we built our home at the ranch? We placed all these things in God’s hands and trusted that He would provide, even if it wasn’t easy. 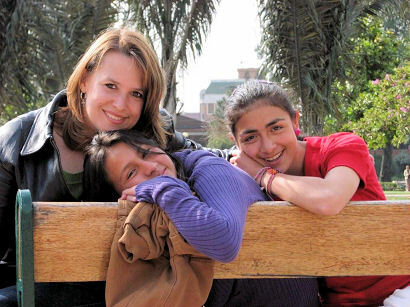 In November of 2007, we went on another mission trip to Bogota, Colombia. This time, two of our children, Joshua and Sarah went with us. 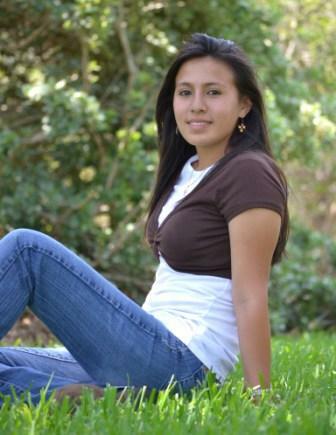 They helped in activities with the girls who lived at Amparo and led music during the VBS program. It was very difficult to see Naomi and Hannah during this visit. We really thought they would be home long before then. We had talked to them on the phone each week since our decision to adopt them, and it was clear that the waiting during the adoption process had become painfully long for them. They cried when they saw us and begged to come home, but there was nothing we could do to expedite the process. We had to leave them one more time and return home. The night before we left, after we had returned to our hotel from the orphanage, we were given a package from the clerk at the front desk. It was our “invitation to travel” to complete the adoption process. Ther e was no way for us to tell the girls about this exciting news before we left Colombia, so we called them the following week. We were hoping to travel before Christmas, but ICBF decided that we needed to wait until after the first of the year because so many government offices are closed until January 15th. 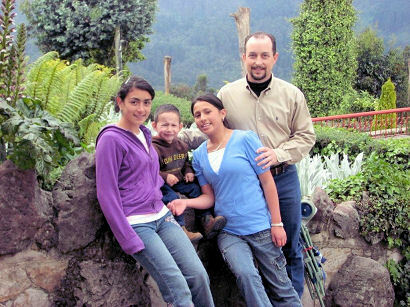 On January 28th, 2008, we traveled to Bogota to complete the adoption of Naomi and Hannah. It was eventful from the start! We had a hard time leaving our children behind and traveling for what we knew would be our longest time we had ever spent away from them. 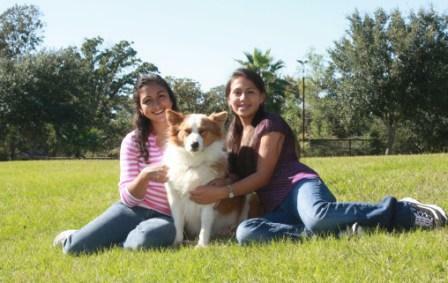 Bogota requires adoptive families to stay in country for six to eight weeks. That’s a LONG time to be away from our kids at home. We decided that we would both travel and stay in Bogota for the first two weeks and then Jay would return home to help take care of the kids until Naomi and Hannah received sentencia and we could come home. We took Jonah with us so that it was easier at home and because he was from Colombia and I wanted his caregivers to have an opportunity to see how well he was doing after his tr ansplant. We went to church as a family that morning before we left, and planned to leave for the airport shortly after. The long hugs and numerous “good-byes” made it difficult for us to leave for the airport. We got a late start. Then the shuttle bus missed our stop a couple of times. When we walked in the airport, the line was so long. We took our place in line and began to wait. Time ticked on and by the time we made it to check-in our plane was leaving in less than an hour. They explained that they would not allow us to board with less than an hour until take off. We had no ide a that this was their policy. We were so upset. We had a meeting to pick up the girls the following morning. We decided to purchase a flight to Venezuela and then catch a flight from Caracas to Bogota. We learned quite quickly that there was a lot of tension between Venezuela and United States. After an eventful night at the Caracas airport, we made our way to Bogota. We were so excited to see the girls. Then we got the disappointing news that ICBF had decided to reschedule our appointment. We were not able to get the girls until the following day. We met with the girls at the ICBF office as they requested and were immediately given custody of them. Then we started our long stay in Bogota. We celebrated Jonah’s fourth birthday with a trip to the park and cake at the hotel. The days passed fairly quickly unt il Jay returned home. After he left, he requested that we remain in the hotel for safety. There was a tension growing in Colombia at that time. There were people uniting to protest all the kidnappings that the FARC rebels had done. The media was filled with stories about the FARC rebels and all of the people they had taken captive. The days became very long for me, Naomi, Hannah and Jonah. At times, I felt as if I was loosing my mind sitting in our little hotel room. We worked on school, scrapbooked and tried to stay busy. Jonah became really sick and we made several trips to the doctor and pharmacist. Hannah also got sick, but it passed quickly. The staff at the Hotel Zuetana were so good to us, and they helped me so much when the kids were sick. One day we were sitting in our hotel room, and the girls noticed a girl outside of our window digging through the trash of a restaurant across the street. 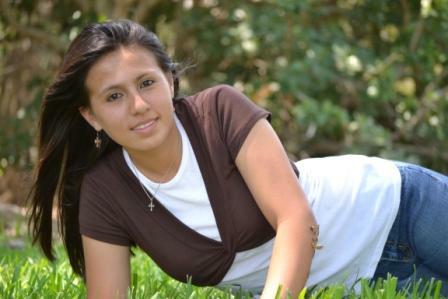 They explained that she was a girl they knew from Amparo de Nina s, and that she had run away several months before. It was heart-wrenching to see this child living a life on the streets, digging through trash, not getting an education. 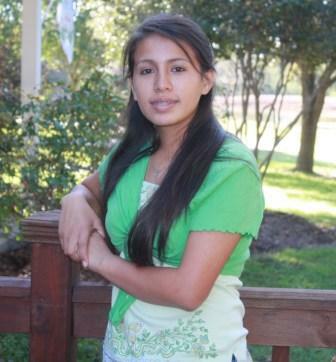 It was like watching the futures of so many of the children I had grown so fond of at Amparo. We were told that the judge was about to sign our sentencia in the next few days. We had waited five weeks thus far. Finally, during the beginning of the sixth w eek, she signed the decree of adoption. We rushed around that Friday getting everything signed by various officials, picking up birth certificates etc. and getting their passports so we could leave the country. We planned to take them for medicals on Monday, get their visas on Tuesday, and hopefully travel home on Wednesday morning. It was a long weekend for us. We were so close to being able to travel, but each day seemed so long. On Sunday morning, I checked e-mail and noticed an e-mail to several of our friends that said, “Please pray for the Faske’s, things have gotten much worse in Colombia.” I quickly flipped on the news and learned that the Colombian soldiers had crossed over into Ecuador and killed several FARC leaders in a raid. Ecuador and Venezuela were moving troops to the borders and there was talk of entering into war with Colombia. I called Jay at home and told him about what was happening. We both went online to read the news in English. It was a very scary time for me . Ecuador and Venezuela closed their embassies in Colombia and asked all citizens and officials to return home. All signs looked like war was right around the corner. Our driver and facilitator did everything possible to expedite anything they could. We took the children for their medical exam at night and we only left the hotel for adoption related purposes. Everything went well and we were able to get the girls documents in time to travel home Wednesday, March 3rd. We arrived home on Wednesday afternoon. You can’t imagine how good it felt to set foot on US soil again! The girls adjusted amazingly well. In fact, we had a quick lesson on showing cattle on Thursday morning and headed to a Texas Longhorn Show in Glen Rose on Friday. On Saturday, they were actually showing cattle as if they had done this their whole life! We had a great time seeing the excitement in their eyes. The girls have done very well since they joined our family. We have had many conversations about their past, the poverty they had to endure, and caring for their biological mother before she died of Cancer. I can’t imagine the toll it takes on a child to be the caregiver of someone they love during their last moments on Earth. They have also expressed how difficult it was to live in an orphanage and wonder if they would ever have a family again. I am just so thankful that the Lord brought them to our family and that He chose us to be their adoptive parents. Hannah has really enjoyed showing Texas Longhorn Cattle. 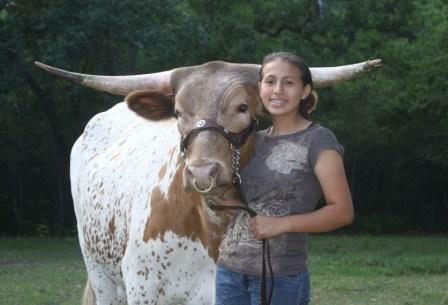 She is actively involved in the Texas Longhorn Breeders of Tomorrow and would like to run for a national office in the future. Hannah has had a lot of success in the show ring, including winning Grand Champion with her steer at the Houston Livestock Show and Rodeo. She has really improved in showmanship too. Hannah gave her first speech only months after her arrival in the US, and did an excellent job in English! 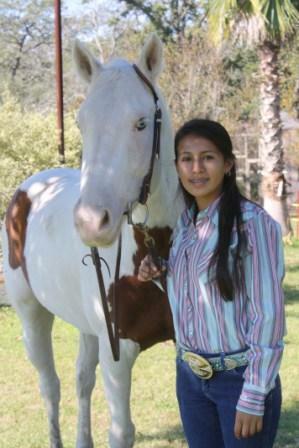 In 2008, Hannah tried out for the Lil’ Wranglers, a country western dance team patterned after the Aggie Wrangler. Hannah and her brother, Samuel, made the team and did a great job as partners that year. They even had the opportunity to perform as the halftime entertainment during a San Antonio Spurs game and an Aggie Men’s Basketball game. 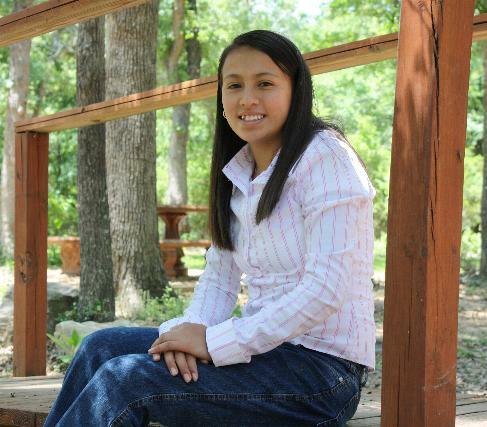 Hannah enjoys her time at the ranch, especially when riding “Powder,” her horse. 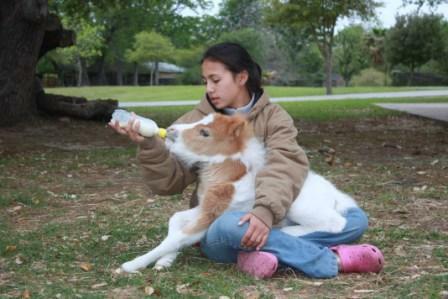 Hannah has adapted amazingly well to ranch life. We are very proud of Hannah’s determination and pray that she will follow the Lord’s direction for her life.